True or False? Intra-Workout BCAA Supplements Are Useful Only For Those Who Produce, Import and Sell Them? Intra-workout BCAA supplements are marketed specifically to resistance trainees. If they do have anti-catabolic effects, though, those are - just like potential fatigue reducing effects - significantly more likely to occur in endurance trainees. If you go by the results of a 2001 study by Blomstrand et al., which is actually the only study to investigate the effect of BCAA intake on the leg exchange of amino acids along with the change in their muscle concentration during exercise and a 2-h recovery period, it would appear as if the claim that "Intra-Workout BCAA Supplements Are Useful Only For Those Who Produce, Import and Sell Them" was true. The study, which measured the amount of amino acids directly and does thus provide a much better proxy of proteolysis than protease measurements which are "a poor index of muscle proteolysis" (Attaix. 2010), did after all indicate that there is no decrease in the rate of protein degradation when BCAA are consumed during a workout. Alanyl-Glutamine is it any good? The real world significance of the often cited paper by Borgenvik, et al. in which the researchers from the Astrand Laboratory in Sweden describe a significant reduction of the said proteases in response to BCAA supplementation 3h after a workout is thus unlike Blomstrand's and Saltin's finding that "BCAA intake affects protein metabolism in muscle after but not during exercise in humans" (Blomstrand. 2001) questionable. Why? Well, do you really consume intra-workout BCAAs but skip the muscle building protein shake after the workout? No... well, in that case you are already doing everything that's necessary to (a) maximize protein synthesis (see "There is a Ceiling Effect for Protein Synthesis W/ ~20-30g of Protein PWO" | read more) and reduce the catabolic proteases (Reitelseder. 2014). Figure 1: Muscle concentration of tyrosine (A and B) and phenylalanine (C and D) in biopsy samples taken at rest, after exercise, and in recovery after exercise in the normal (A and C)- and low (B and D)-glycogen legs in the 2 conditions. º, BCAA condition; •, placebo condition. Values are means 6 SE for 7 subjects (Borgenvik. 2012). Unlike BCAAs alone (see Figure 1), whey protein, which can trigger and sustain protein synthesis (learn more), will also lead to increases in tyrosine and phenylalanine levels and thus the accrual of skeletal muscle protein (Witard. 2014). Unlike the anti-catabolic effects, the anti-DOMS effects of BCAAs are backed by science: Jackman et al. (2009) observed reductions in muscle soreness after eccentric exercise, Shimomura et al. (2010) observed a reduction in delayed-onset muscle soreness after a squat workout, Ra et al. (2013) report benefits of BCAAs in conjunction with taurine. However, none of the studies shows that (a) this effect would require intra-workout supplementation of BCAAs (the supplements were given before or after the workouts or as in the case of Matsumoto et al. (2009) before and during the workouts) and (b) none of the proves that the same effect wouldn't be observed with a simple BCAA rich whey protein. Against that background it is highly questionable, whether the often-heard decrease in protein breakdown and/or increase in anabolism during workouts in response to the ingestion of BCAAs during resistance training workouts even exists. That is in contrast to endurance training, where Matsumoto, et al. (2007) report that the provision of a combined branched-chain amino acids and arginine supplement attenuates the efflux of phenylalanine from the muscle into the muscle. Similar results were observed, when Tang et al. (2006) analyzed the urinary nitrogen content of swimmers immediately post and 24 after 90 min medium intensity swimming. 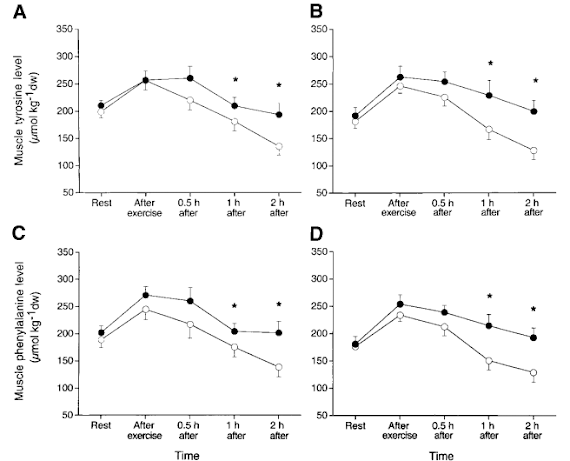 Unlike the study by Matsumoto et al., in which the BCAA + arginine supplement was administered 10 min after the first out of six exercise bouts, the study by Tang et al. did not use an intra-workout supplementation protocol, however. Even 18g/l BCAA (high BCAA) don't increase the total time to exhaustion in endurance trained subjects (Hall. 1995). The study does yet also show: The dreaded increase in tryptophan from the ingestion of a tryptophan containing beverage has no significant performance effects. So, does that also mean that intra-workout BCAA supplements are beneficial only for the manufacturer? Not really, no. It is (a) possible that they reduce the protein breakdown in endurance athletes; and (b) not unlikely that they may exert their beneficial effects by reducing the influx of tryptophan into the brain and thus mediating or postponing the onset of central fatigue during workouts. In that, it is almost ironic that the same researchers who debunked their usefulness as anti-catabolics report in a 2006 review that BCAAs, when they are consumed during a standardized cycle ergometer exercise, will reduce the subjective ratings of perceived exertion and mental fatigue. Evidence for actual ergogenic effects, i.e. performance increases, however, is scarce and restricted to the slowest runners during long-distance races like marathons (Blomstrand. 1991), while the average trainee does not seem to benefit (Van Hall. 1995). Attaix, Didier, and Vickie E. Baracos. "MAFbx/Atrogin-1 expression is a poor index of muscle proteolysis." Current Opinion in Clinical Nutrition & Metabolic Care 13.3 (2010): 223-224. Blomstrand, E., et al. "Administration of branched-chain amino acids during sustained exercise—effects on performance and on plasma concentration of some amino acids." European journal of applied physiology and occupational physiology 63.2 (1991): 83-88. Blomstrand, Eva, and Bengt Saltin. 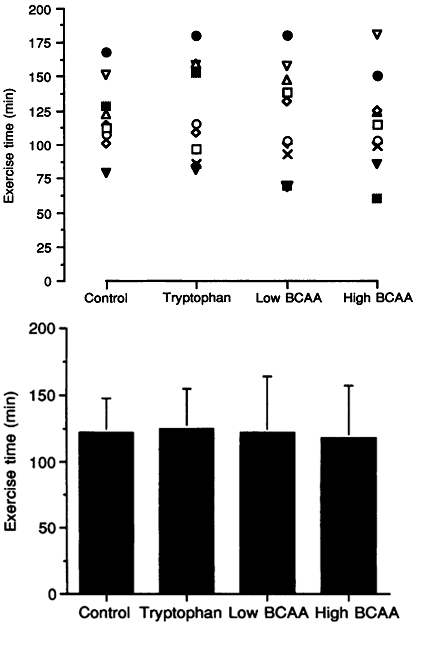 "BCAA intake affects protein metabolism in muscle after but not during exercise in humans." American Journal of Physiology-Endocrinology And Metabolism 281.2 (2001): E365-E374. Blomstrand, Eva. "A role for branched-chain amino acids in reducing central fatigue." The Journal of nutrition 136.2 (2006): 544S-547S. Edström, Erik, et al. "Atrogin-1/MAFbx and MuRF1 are downregulated in aging-related loss of skeletal muscle." The Journals of Gerontology Series A: Biological Sciences and Medical Sciences 61.7 (2006): 663-674. Jackman, Sarah R., et al. 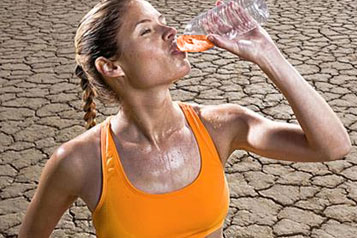 "Branched-chain amino acid ingestion can ameliorate soreness from eccentric exercise." Medicine and science in sports and exercise 42 (2009): 962-70. Matsumoto, K., et al. "Branched-chain amino acids and arginine supplementation attenuates skeletal muscle proteolysis induced by moderate exercise in young individuals." International journal of sports medicine 28.6 (2007): 531-538. Matsumoto, K., et al. "Branched-chain amino acid supplementation attenuates muscle soreness, muscle damage and inflammation during an intensive training program." The Journal of sports medicine and physical fitness 49 (2009): 424-31. Ra, Song-Gyu, et al. "Additional effects of taurine on the benefits of BCAA intake for the delayed-onset muscle soreness and muscle damage induced by high-intensity eccentric exercise." Taurine 8. Springer New York, 2013. 179-187. Reitelseder, Søren, et al. "Positive muscle protein net balance and differential regulation of atrogene expression after resistance exercise and milk protein supplementation." European journal of nutrition 53.1 (2014): 321-333. Shimomura, Yoshiharu, et al. "Branched-chain amino acid supplementation before squat exercise and delayed-onset muscle soreness." International journal of sport nutrition 20.3 (2010): 236. Stefanetti, Renae J., et al. "Influence of divergent exercise contraction mode and whey protein supplementation on atrogin-1, MuRF1, and FOXO1/3A in human skeletal muscle." Journal of Applied Physiology 116.11 (2014): 1491-1502. Tang, Fu-Chun. "Influence of branched-chain amino acid supplementation on urinary protein metabolite concentrations after swimming." Journal of the American College of Nutrition 25.3 (2006): 188-194. Van Hall, Gerrit, et al. 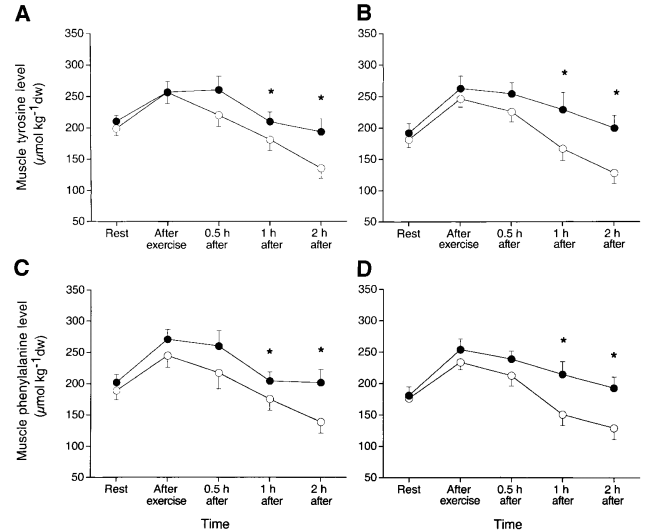 "Ingestion of branched‐chain amino acids and tryptophan during sustained exercise in man: failure to affect performance." The Journal of physiology 486.3 (1995): 789-794. Witard, Oliver C., et al. "Myofibrillar muscle protein synthesis rates subsequent to a meal in response to increasing doses of whey protein at rest and after resistance exercise." 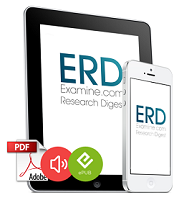 The American journal of clinical nutrition 99.1 (2014): 86-95.